I can remember back in my early childhood going out to my fathers shop and looking at all his tools. These pieces of metal and wood were mysterious devices that allowed my dad to work on cars, craft things from lumber – and get things working again around the house once they broke. He always wanted me to help him in his endeavours but like many other kids – I just wanted to go run, play, and hang out with my friends. You know what that got me? A few memories of spending time with friends and a complete lack of mechanical knowledge and skills. I think Tools for Survival was written for me. 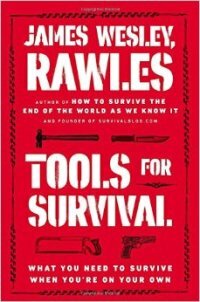 Author James Wesley, Rawles – owner of SurvivalBlog.com – starts off with an excellent Introduction that makes the case as to why tools are so important to the survivalist. Numerous disasters and situations including natural and man-made are described and the effect on civilization is described. If you are a frequent visitor to MSO not anything really new here – but very thought provoking and reinforces the dangers that exist around us. What is new is the perspective of just how important tools are during these events. The Introduction also covers tool costs and offers several suggestions on different ways to obtain quality used tools at discounted prices. Craigslist, Freecycle, and Ebay are suggested. Some common sense methods to cut budgetary costs such as using coupons, eliminating cable, and eating out less are offered. Rawles also makes the point that if the funds are not there to purchase tools – work on a skill set. 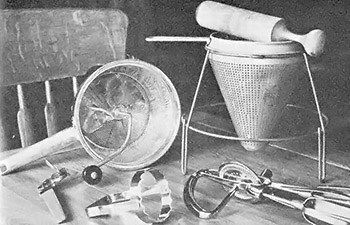 “Rawles’s Rules for Tools” provides an easy to follow guide to selecting, purchasing, maintaining, and storing tools. I found these rules to be especially helpful with my limited knowledge. Important to note is that when Rawles discusses tools he is not just referring to hammers and screwdrivers. Chapters cover preserving food and cooking, firearms, gardening, sewing, wrenches, sockets, automotive maintenance and repair, first aid, welding….and the list goes on and on. At just over 300 pages each subject is covered in great detail. Safety is emphasized and even fire prevention and firefighting is mentioned. I learned that Rawles and I have something in common: Our favorite lubricant is Break-Free CLP. I have been an avid user since the 80’s. Page after page covers so much material I could go on and on describing points on drill bits, saw blades, different types of hammers – as well as numerous tools I have never heard of (froe and draw knife as examples). I also had no idea there was a such thing as a hollow ground screwdriver versus the common type. Good to know. Now – this is not an exciting read full of action and adventure. I mean – we are talking about tools here but for the prepper/survivalist what is contained within these pages is extremely important. I know it is going to be very helpful for me. Recommended. It can be ordered HERE. This book is now near the top of my amazon wish-list. I just discovered Mr. Rawles a few years ago. We carried his survival book at the Christian bookstore I was managing, at the time. Since then, I have either acquired or read most of his books, at least, the ones that I know of. I, too, began my boom-stick adventures using Break-Free, after reading the Survivalist books by Mr. Ahern at an impressionable age. That would also explain the Gerber Mk II sitting on the shelf to my right.